Sometimes it really is all about location. 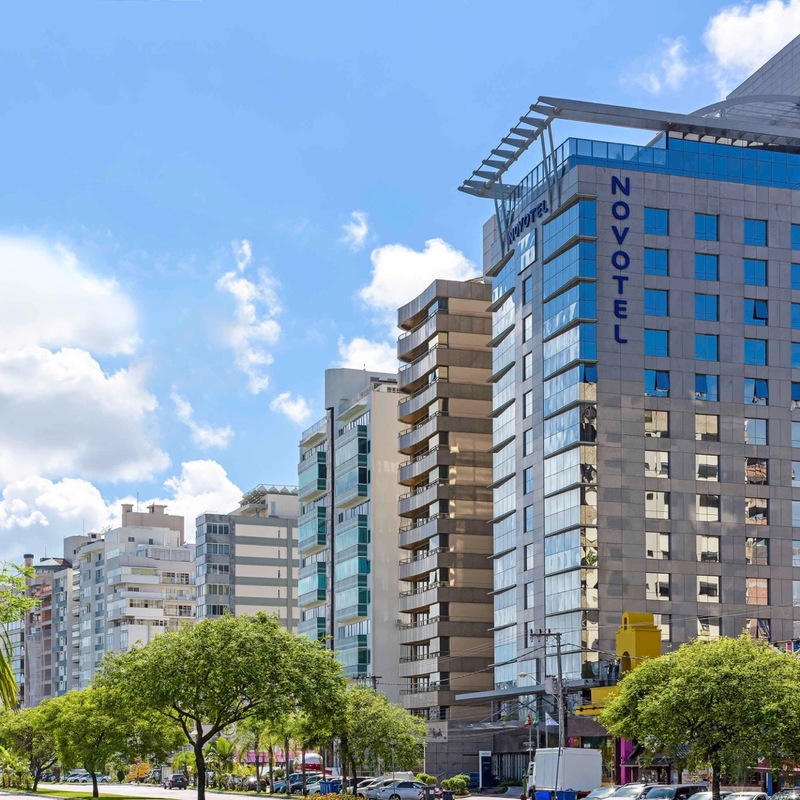 In the case of the Sofitel Florianopolis it makes all the difference. What would ordinarily be simply a stylish, well-crafted luxury hotel, the sort of thing Sofitel can turn out without breaking a sweat, is elevated, by virtue of its situation, into something quite extraordinary. For Florianopolis is like no other town: here, just off the bridge to Santa Catarina, you’re in the heart of the city, but also steps from some world-class surfing, and perched over a panorama that takes in the island, the mountains and the waters of the bay. The building is distinctive from a distance, a sleek modern glass tower in the front row of the city’s residential high-rises. And it’s distinctive within as well, its décor graphic and modern, with more than a tinge of Art Deco, as is the Sofitel house style. The rooms are residential in concept, with comfortable work spaces, luxurious bathrooms and plentiful natural light. A full-service spa sees to your corporeal needs, and the restaurant and bar import a note of worldly Parisian elegance, a welcome contrast with the laid-back ambience of Florianopolis. It’s as suited to business travel as any Sofitel anywhere, though the surroundings are enough to test anyone’s focus.